The General Assembly has a constitutional mandate to provide a “thorough and efficient system of public education” for the children of Pennsylvania. This requires a fair funding system, with taxes and fees imposed equitably on individuals and industry. But education funding in Pennsylvania is so inequitable, it has been called the worst in the nation, and is the subject of a groundbreaking lawsuit that includes the William Penn School District in Delaware County as a plaintiff. Pennsylvania has the widest gap in funding between poor and wealthy school districts, and ranks 47th in total state education funding. Meanwhile, school districts and townships are forced to make up for inadequate funding year after year, raising taxes and fees on homeowners instead of making corporate special interests such as the gas industry pay their fair share. To address the inadequate and unfair funding of our public schools, we must reform the Fair Funding Formula. All money for school funding should pass through the Fair Funding Formula, rather than the current system where only new funding is evaluated that way. Additionally, we must enact an extraction tax on Marcellus Shale drillers and distribute it equitably to our schools. This would raise up to $800 million toward funding for public education. All parents in Pennsylvania should feel confident that their children will receive an education that unlocks their full potential. The Republican-controlled General Assembly has failed to deliver a fair and balanced Commonwealth budget for years. As a result, Pennsylvania has one of the worst credit ratings in the country, which means we are unnecessarily diverting tax revenue to pay debt service instead of reinvesting our money in our communities. We cannot continue to mortgage our future for marginal short-term fixes. Harrisburg needs to institute a progressive income tax, replacing the regressive income tax that currently has Pennsylvania ranked as the 6th most regressive tax code in the nation. To balance the budget, we should be closing corporate tax loopholes. We need to strengthen programs that support the most vulnerable Pennsylvanians and keep people out of poverty. The General Assembly has continued to sacrifice our environment in pursuit of corporate profits that don’t get reinvested in our communities. 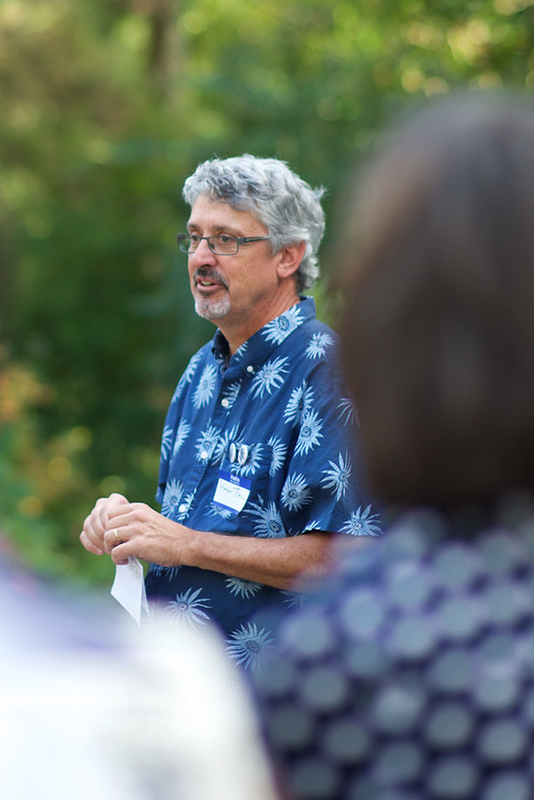 As an architect who has practiced environmental sustainability for over 30 years, Tim knows that renewable energy and clean air, water, and soil make for good business. As cost-saving energy-efficient practices have become more mainstream, we have seen the “green” premium for construction costs shrink from 20% to less than 1%. As a businessman and mayor, Tim prioritized the long-term viability of his projects over short-term profits. As senator, he will fight for the long-term protection of our natural resources by supporting sustainable energy, strengthening enforcement of pollution laws, and ensuring that taxes and fees from the energy industry are used to reinvest in environmental protection. Tim believes that health care is a basic human right. As your state Senator Tim will fight to ensure that every Pennsylvanian is covered with quality health care at an affordable price. If the federal government won’t protect and improve the ACA then the state government must step up and ensure that the people of Pennsylvania have affordable coverage options. Tim will fight back against the Republican attempts to cripple programs like Medicaid, Medicare, and CHIP, and he will fight attempts to restrict a woman’s right to choose. Tim supports women leaders like his friend State Rep. Leanne Krueger-Braneky, author of the #MeToo bill in the Pennsylvania House of Representatives. He supports and encourages all political and industry leaders who are bravely leading the fight for equal protection and equal rights for women in all spaces, including the workplace. If the current GOP-controlled legislature does not act on Rep. Krueger-Braneky’s #MeToo bill and other legislation to protect women in the workplace, Tim will join the fight to pass this important reform package. Tim has always supported Planned Parenthood and the essential health and reproductive care that they provide for women. Tim believes that women’s health decisions are between a woman and her doctor and will oppose all Republican attempts to take away a woman’s right to choose. He also supports pay equity for women, and will fight Republican attempts to prohibit municipalities from enacting measures to fight employment discrimination, such as salary history–based compensation. Tim is an ally and a supporter of the LGBTQ community and of LGBTQ rights. “I have learned from my daughter and her generation the importance of understanding the intersectional nature of discrimination. In order to move towards a more just, inclusive, and flourishing society, we need understand and address the forces at play.” Tim is proud to be a candidate on whom the LGBTQ community can count to fight for comprehensive anti-discrimination statutes, long overdue in Pennsylvania. Tim is proud to serve as Mayor of Swarthmore, where discrimination in housing, employment, or use of public accommodations on the basis of sexual orientation or gender identification has been banned since 2006. He is adamantly opposed to “bathroom bill” legislation, which are attempts to enact state-sanctioned discrimination against trans people, who are already vulnerable to bullying, abuse, and violence. Tim supports universal background checks for all gun sales, just as 97% of Americans do. He also supports a ban on assault weapons such as the AR-15, which has been used in many of the most heinous mass shootings. Tim staunchly opposes the notion that arming more people will make us safer, and that includes his firm belief that arming teachers is an unacceptable idea. Tim’s grandfather left his job as a sportswriter to become a typesetter at the newspaper, because the position was a union job. The security created by his union allowed Tim’s father to pursue a legal career. Tim supports organized labor because it created the middle class and helped integrate the American workplace. Greedy corporations are leading and funding ideological attacks on labor, and he will fight alongside unions to stop assaults on workers’ dignity and rights, and to battle economic inequality. Pennsylvanians deserve effective, efficient, and ethical government, and the confidence of knowing that their health, welfare, and safety are being prioritized over wealthy special interests. Not only do lobbyists and corporate interests control many of the candidates and elected officials in Pennsylvania, they often write the bills that get passed in the General Assembly. That’s why Pennsylvania has the most unfair education funding system, the lowest minimum wage in the nation, weak infrastructure and environmental investments, and few worker protections compared to neighboring states. Tim supports enacting limits on campaign donations from individuals, corporations, and interest groups, and supports modernizing campaign finance reporting to make it more accessible. He also supports a gift ban and enhanced transparency rules for public officials. He will fight to ensure that no public official or employee who is convicted of a major crime is able to receive a taxpayer-funded pension or health benefits for life.